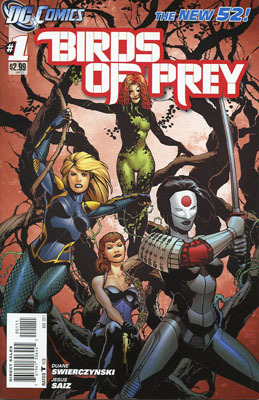 Birds of Prey #1 | Hey Adults! Comics! This entry was posted in Uncategorized and tagged Batgirl, Black Canary, Huntress, Manhunter, Poison Ivy, Power Girl, Starling, Thorn, Zinda. Bookmark the permalink.